History of football: Bears players demonstrate life before facemasks. 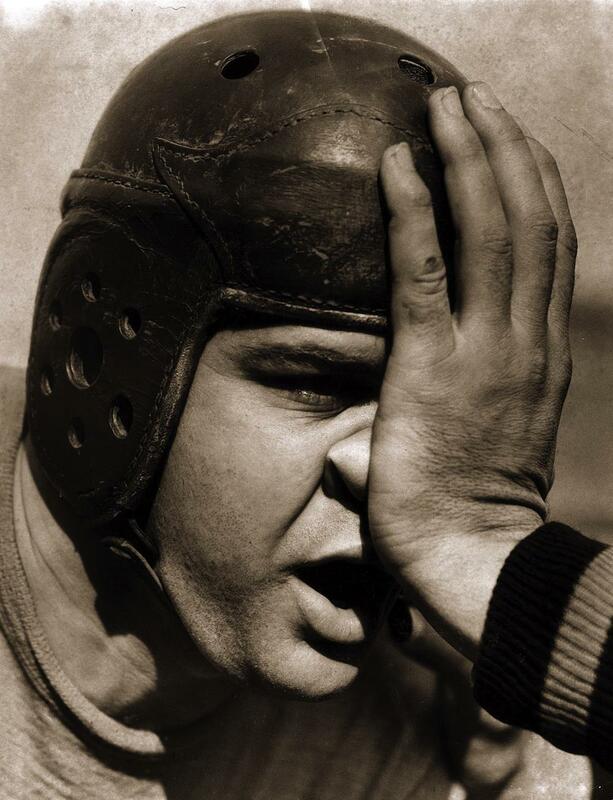 Among the images in the new book Chicago Portraits, this 1938 shot of Chicago Bears player Frank Bausch absorbing a palm to the face caught my eye. 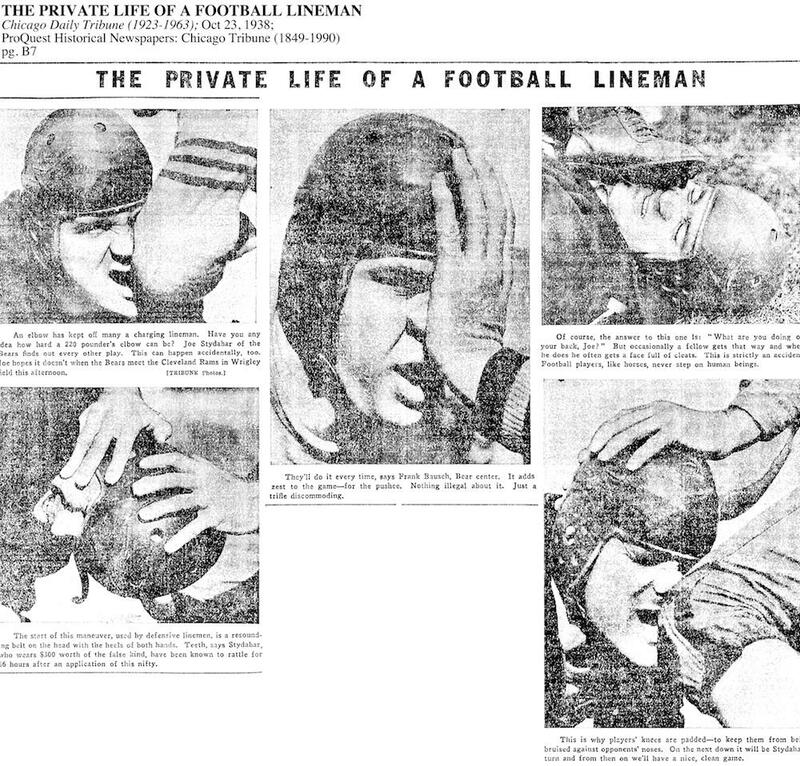 From the Chicago Tribune’s archives, it originally appeared in the layout below, showing Bausch, who played center, and Bears tackle Joe Stydahar demonstrating the impact of elbows, feet, knees, and hands on a lineman’s face. The leather helmets that the players wore were little help against incursions such as these. Face masks wouldn’t be invented until the mid-1950s. Stydahar, for his part, sometimes elected to play without any helmet at all—a choice that was legal through 1943. Tribune photo editor Marianne Mather told me over email that the original glass-plate negatives for the other images from the layout that didn’t make it into Chicago Portraits are probably somewhere in the newspaper’s basement, five floors below street level, but that the haphazard organization of the 60,000-image archive makes them hard to find. Stydahar’s hard-to-spell last name, she theorized, doesn’t help.